Can any building really be engineered to be “blast-proof”? 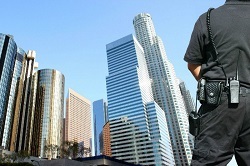 A new “blast-proof” and “ram raid-proof” 39-storey tower in Melbourne’s CBD will be built to house 2500 police. An incredibly complex music box that took a whopping 14 months to build has been created by Martin Molin from the band Wintergaten. It replicates the sound of a full band; containing around 3000 parts, 3000 screws, 500 Lego parts, five sheets of Baltic birch plywood and 2000 marbles. You can read more on this intriguing new invention here. The wearable robotic that will change the way we operate - literally. A team of researchers at the University of the West of England (UWE Bristol) are developing a wearable robotic system to be used on keyhole surgeries. The wearable ‘”exoskeleton” will allow surgeons natural and agile movement as well as the ability to ‘sense’, ‘see’, control and safely navigate. Read more on this rebotic revolution here. Introducing the Oleo Sponge: a reusable foam that can pull dispersed oil from water (the entire water column, not just the surface!). This exciting new innovation has been developed by scientists at the US Department of Energy’s (DOE) Argonne National Laboratory: an invention that could potentially lead to far more effiicient oil spill clean ups in the future. Check out the video below for an interesting preview on how it works. Click here to read more about the Oleo Sponge. Landing drones on moving targets is scientifically quite difficult to achieve, according to Manish Kumar (associate professor of mechanical engineering, University of Cincinnati’s College of Engineering and Applied Science.). To address this problem, fuzzy logic can be adopted as it allows for more nuance, or degrees of truth. For a deeper look into how this works, click here. At Stratasys’ Research and Innovation Centre in Dearborn, Ford has been exploring how large one-piece car parts can be 3D printed for prototyping and future production vehicles. Stratasys states that its new printer could revolutionise the way we manufacture vehicles in the future. It seems the Mexican border wall isn't the only barrier that President Donald Trump would like to build. Trump’s proposed immigration reform could build a so-called “wall” against Indian IT being able to enter the market on skilled H-1B visas (non-immigrant visas). As an unfortunate consequence, India may face a large period of unemployment. Engineering students from throughout Australia embarked on a cultural two week program to teach Nepalese villages sustainable tactics to better their futures. Students looked at projects such as innovative ways of collecting rainfall and waste for water for irrigation. Smith, Stephen. “Blast ‘Proof’ or Blast ‘Resistant’ Engineering”. Sourceable. 7 Mar. 2017. Austin-Morgan, Tom. “3000-piece hand cranked wooden instrument is played by 2000 marbles”. Eureka! 16 Mar. 2017. Austin-Morgan, Tom. “Wearable robotic tools being developed for surgery.” Eureka Magazine. 17 Mar. 2017. Austin-Morgan, Tom. “Soaking up an oil spill.” Eureka Magazine. 13 Mar. 2017. Austin-Morgan, Tom. 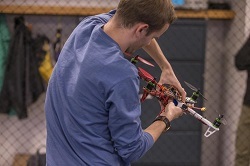 “Using fuzzy logic to teach drones to land on moving targets”. Eureka Magazine. 28 Feb. 2017. Austin-Morgan, Tom. 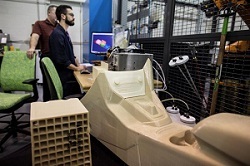 “Ford and Stratasys test large scale one-piece 3D printing.” Eureka Magazine. 7 Mar. 2017. Rao, Rajiv. New Tech for Old India. “Indian IT’s gargantuan re-engineering problem.” ZDNet.com. 17 Mar. 2017. Pidgeon, Emily. “Poor given a leg up by Gladstone’s engineering future.” Ballina Shire Advocate. 6 Mar. 2017.